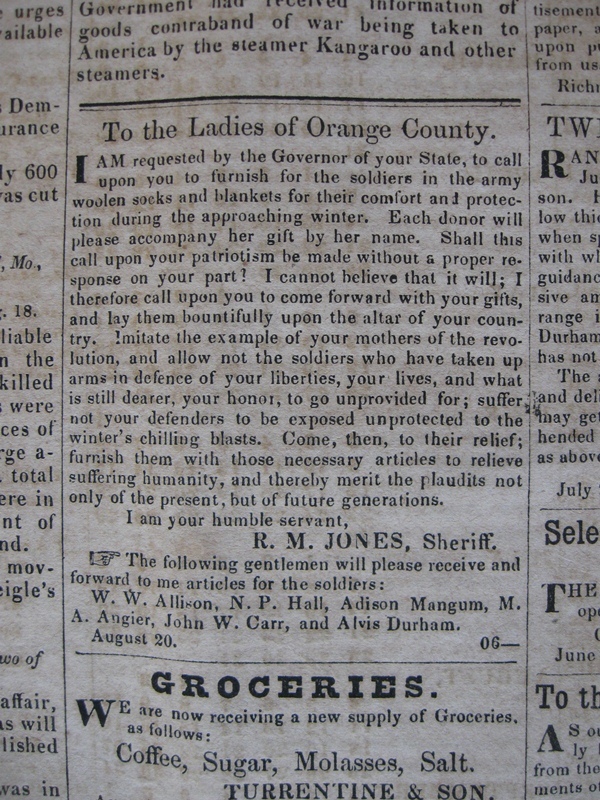 Item description: This newpaper ad appeals to the ladies of Orange County, North Carolina, to provide socks and blankets for the soldiers. Among the gentlemen designated to receive articles for the solders is John W. Carr, proprietor of a store on the corner of Franklin and Columbia Streets in Chapel Hill. 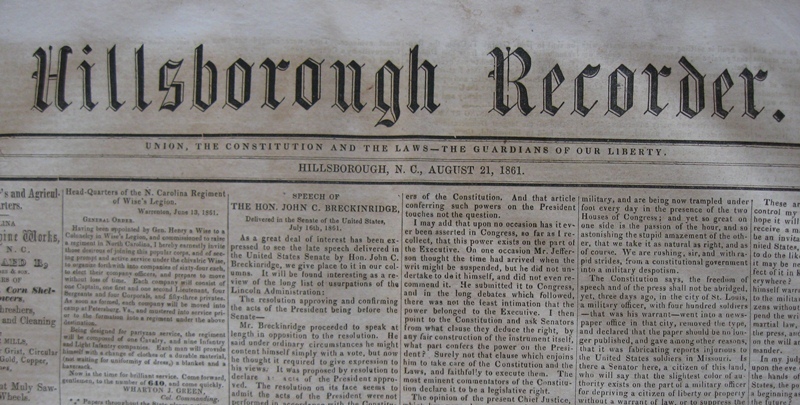 Item citation: “To the Ladies of Orange County,” Hillsborough Recorder,” 21 August 1861. Hillsborough, N.C.: Dennis Hartt. C071 H65. North Carolina Collection, Wilson Library, University of North Carolina at Chapel Hill. This entry was posted in North Carolina Collection and tagged Chapel Hill, The Hillsborough Recorder, women. Bookmark the permalink.